One thing I have never done well is take a break to rest and recuperate. I have some sense of urgency about achieving my goals, running as much as I can, checking races off my “to-run” list. Maybe Transverse Myelitis is making me feel that way, making me not want to waste a moment being idle when I can be out running. Recent events are a good example. During a seven-week period, I ran one marathon and four half marathons. That is on top of running during the week to stay in shape. 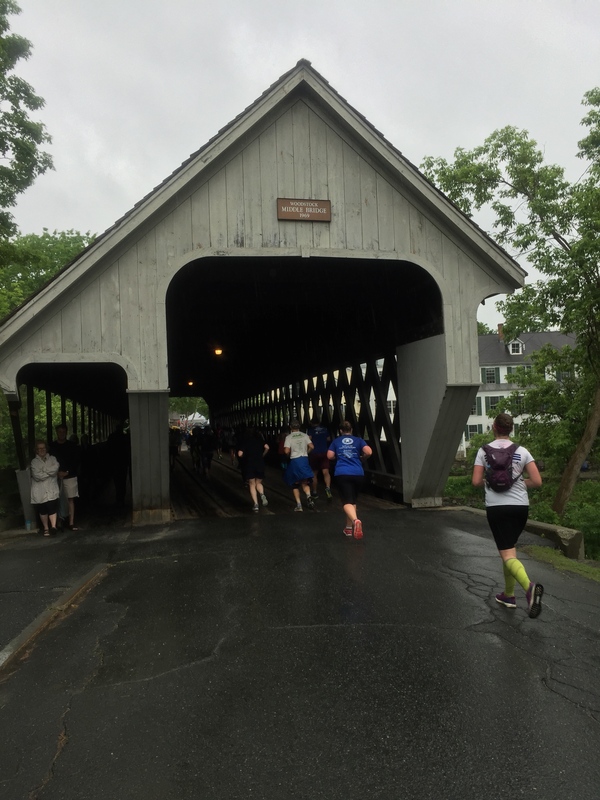 It was not surprising when I got home from my last race – the Covered Bridges Half Marathon in Woodstock, Vermont – I felt tired. I need a break so I asked my running coach for a week off from training. I could tell from her response it was something that she had been thinking about too. When I first started running with Team in Training, our coach told us that we should take one day off from running for every mile we ran in a race. If we ran a marathon (26.2 miles), we should not run for 26 days. My schedule of running as many races as I can during the cooler spring and fall months doesn’t leave me much recovery time between races. Lack of recovery time, on the other hand, is not helping me. It took me almost six months to fully recover from twisting my ankle during the Berlin Marathon. I never stopped to let it heal. Elite runners don’t run as much as I do. Frank Shorter once told me I was crazy to run eight half marathons and one full marathon in a year. I wonder how he would react if I told him I ran thirteen half marathons and three full marathons in 2015. I recently came across a study (published in the American Journal of Pathology in February, 1985) indicating that marathon runners experience “exercise-induced muscular necrosis”. (Necrosis means the “localized death of living tissue” – not a good thing.) The study found that it takes seven days for the body to repair the muscle damage and reduce the inflammation that results from running a marathon. Running back-to-back races means my muscles aren’t getting the time they need to repair. And I wondered why my body always hurt. I never give it a chance to recover. Although taking time off from training is difficult for me to do, a break, even a week off, is necessary. 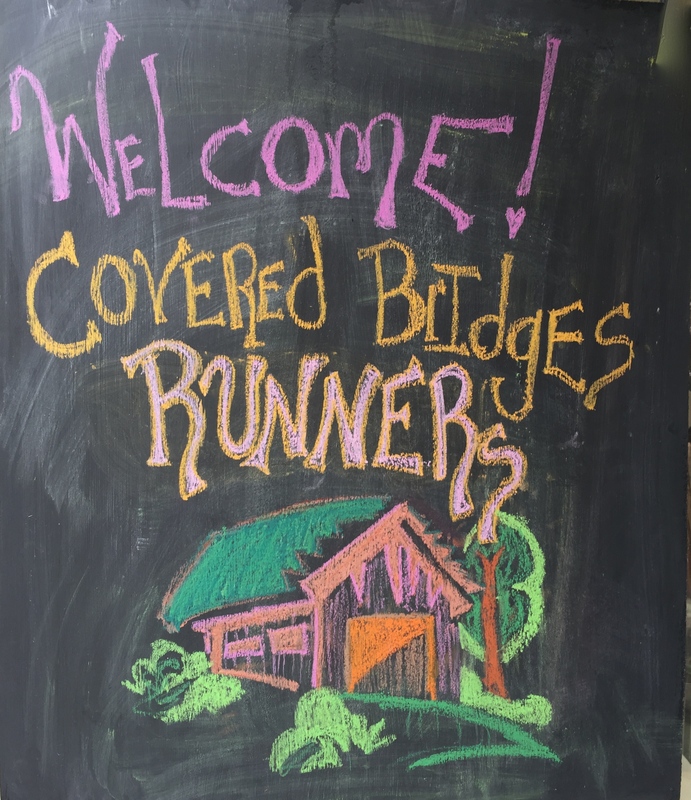 As for the Covered Bridges Half, this is a popular race in the New England area. They sold out the 2,300 registration spots in eight minutes. 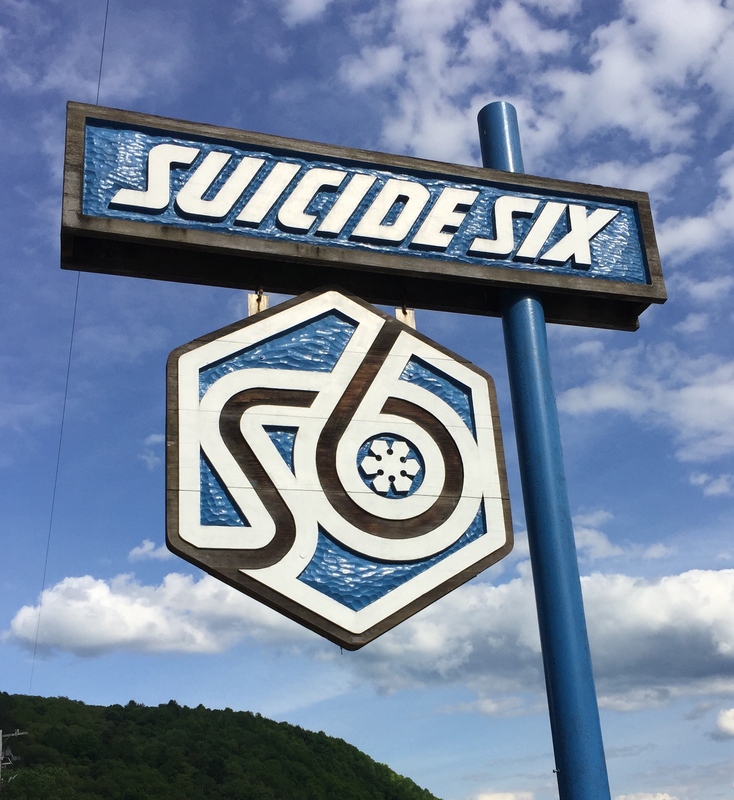 The race started at the Suicide Six Ski Area. (I can add ski slope to my list, although we didn’t run on it.) 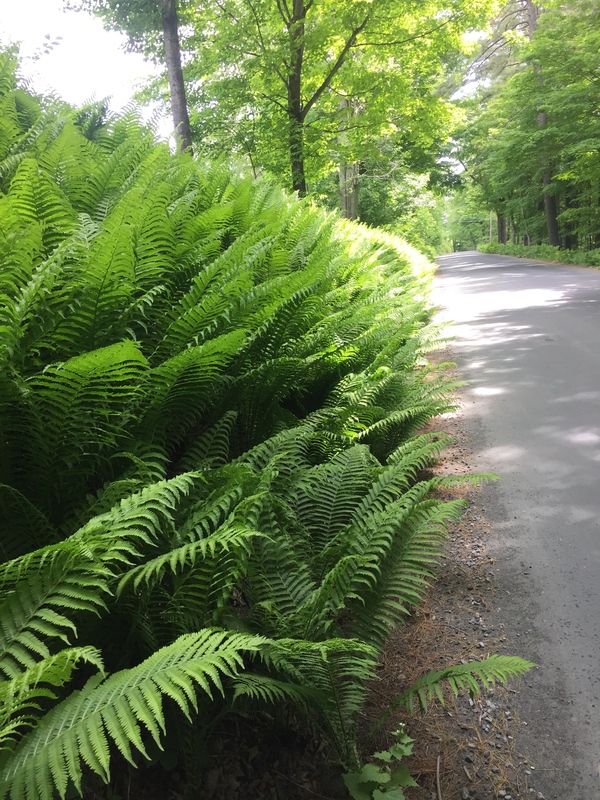 The predominately downhill course took us through the beautiful countryside of Vermont, over one cover bridge and past two others. Another race with lots of eye candy. Woodstock is a lovely little town with many interesting stores, including Gillingham’s General Store (established 1886). I was glad I had time to do some sightseeing and shopping before the race. So if you have been running a lot and are feeling tired, take some time off. A break will help your body repair itself. During your break, practice some yoga, go to a Pilates class, do light stretching. When you resume training, you will feel reenergize and ready to go again. I found the best flannel shirts and pjs in Woodstock at the Vermont Flannel Company store. If you like flannel, you will love theirs. I loved Farmhouse Pottery. I bought some fancy water bowls for my dogs – beautiful and functional souvenirs, though I don’t think the dogs will notice.